The Greyhound is a gentle and intelligent breed whose combination of long, powerful legs, deep chest, flexible spine and slim build allows it to reach average race speeds in excess of 64 kilometres per hour (40 mph).Thus owners regularly refer to their Greyhounds as “40- mph-couch-potatoes!” Greyhounds have very short fur, which is easy to maintain. 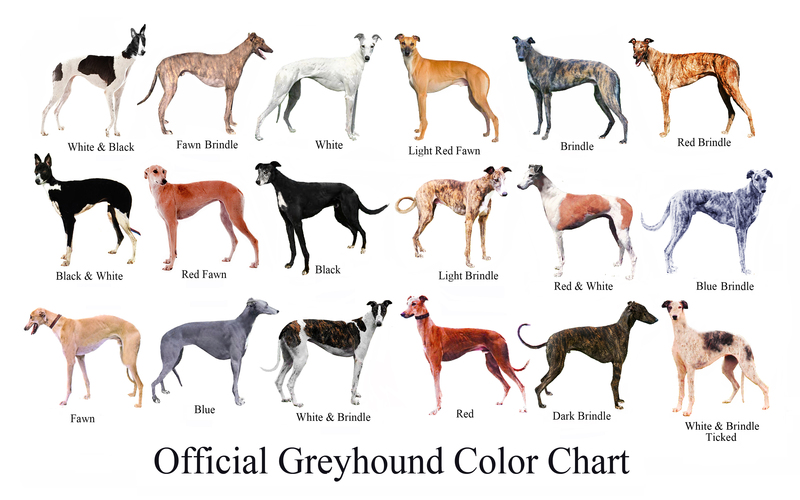 There are approximately thirty recognized colour forms, of which variations of white, brindle, fawn, black, red and blue (gray) can appear uniquely or in combination. Greyhounds are quiet, gentle, and loyal to owners. They are very loving creatures, and they enjoy the company of their humans and other dogs. Whether a Greyhound enjoys the company of other small animals or cats depends on the individual dog’s personality. Each Greyhound that comes into the care of NCGL is tested for these individual situations that could arise in a potential forever home. Greyhounds live most happily as pets in quiet environments. They do well in families with children as long as the children are taught to treat the dog properly, with politeness and appropriate respect. Greyhounds have a sensitive nature, and gentle commands work best as training methods. A very common misconception regarding Greyhounds is that they are hyperactive. In retired racing Greyhounds, this is usually not the case. Greyhounds can live comfortably as apartment dogs, as they do not require much space and sleep close to 18 hours per day. 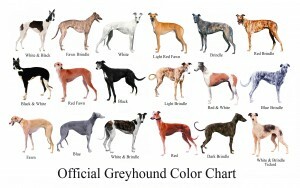 In fact, due to their calm temperament, Greyhounds can make better “apartment dogs” than smaller, more active breeds. NCGL recommends that owners keep their Greyhounds on a leash whenever outdoors, except in fully enclosed areas. This is due to their prey-drive, their speed, and the assertion that Greyhounds have no road sense. However, a good run at least once a week is important, especially for younger Greyhounds, and suitable areas can usually be found. Due to their size and strength, it is recommended that fences be between 4 and 6 feet, to prevent them from jumping out.